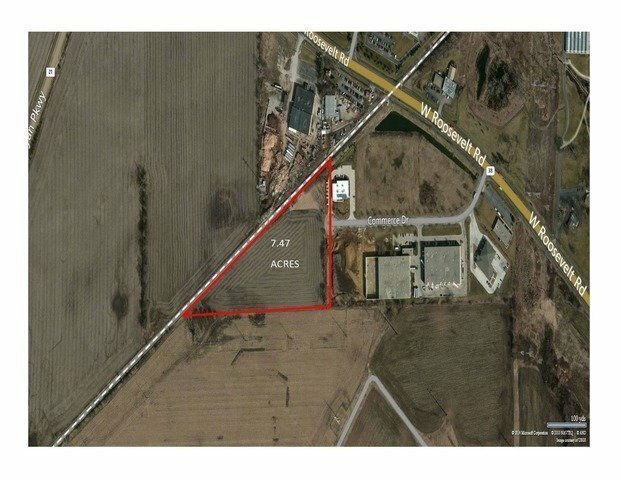 This 7.47 acre property is located in the Fermi Center for Commerce Industrial Park. Currently zoned Agriculture. Future use is ORI (office, research, light industrial). The topography of the land is flat. Currently being farmed. Farmer has harvest rights.